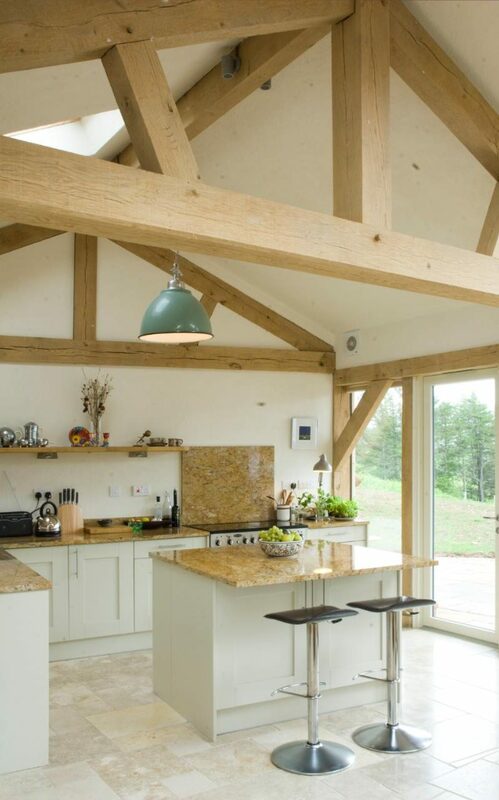 With its open-plan living spaces, level flooring surfaces between inside and out, walk-in wetrooms and generous kitchen with minimal handle-free units, Jacqui Lait and Peter Jones’s house possesses the desirable design features that anyone would put on their wishlist if they were commissioning an architect to build them a tailor-made home. But, happily, they also fit right in with the couple’s wider rationale: if they were going to go to the trouble and expense of building their own house, they also wanted to future-proof it, allowing them to live there for as long as possible. 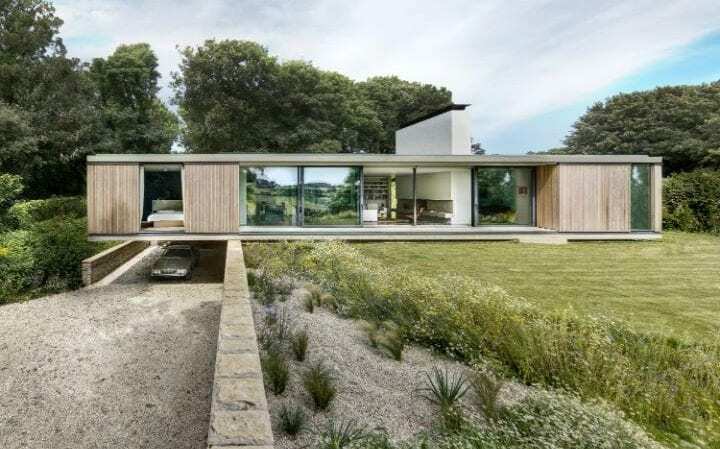 Their house in East Sussex, designed by architects Alma-nac, is a bold piece of modern architecture, with a dramatic cantilevered section on the first floor. But its hidden weapon is that it can also flex and adapt, so they can grow old gracefully: there’s a lift, for example, and the house has been arranged so that the downstairs could one day be subdivided to create accommodation for a carer. Lait tasked herself with sourcing as many age-friendly fixtures and fittings as possible, from attractive light-switches with a slightly bigger, square switch – “for shaky fingers” – to door handles with soft curves instead of hard edges, so they don’t catch an eye or a cheekbone in the event of a fall. Lait and Jones’s attitude is not unusual, says Mike Hope of Roderick James Architects. The creation of what could be called a “through-life home” is now an important part of the brief for his retirement-age clients. Hope has worked on several such projects. One of them, now at design stage, is similarly flexible about creating carer’s accommodation, this time in a self-contained flat upstairs. All it takes is a bit of forethought: arranging the staircase in a certain direction and including a small space at the top of the stairs that could be turned into a kitchenette. For another project, he included space for a lift (an empty shaft where a lift could be installed later) and has even designed a home that could be split down the middle, going from a detached to a semi, for one particularly pragmatic couple making provision for when there might be only one of them around. 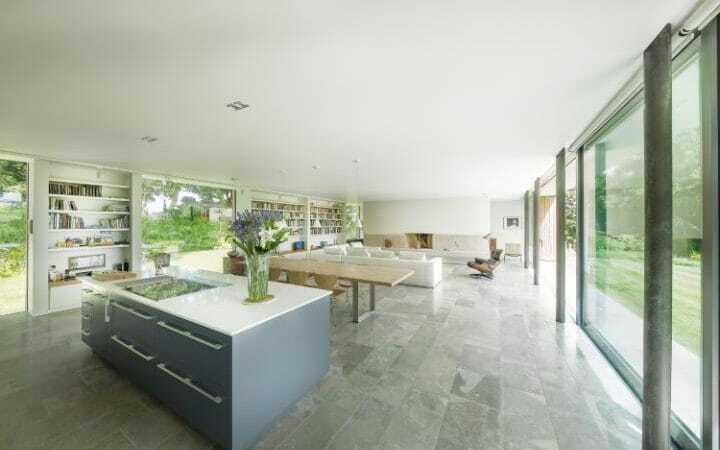 Hope also recommends many of the design features of Jacqui Lait and Peter Jones’s home, such as opening up the space by eliminating corridors (which are a poor option for wheelchair users) and incorporating level-threshold walk-in showers. One of his clients agrees. 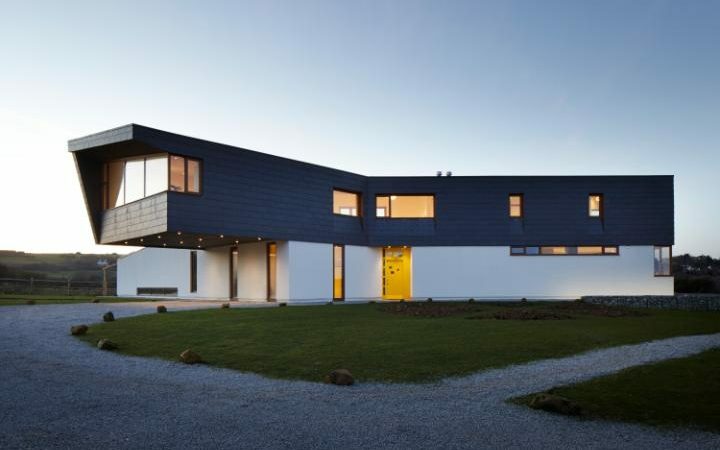 Sara Davies lives with her husband Peter Boyden in a home on the west coast of Scotland, designed by Roderick James Architects. 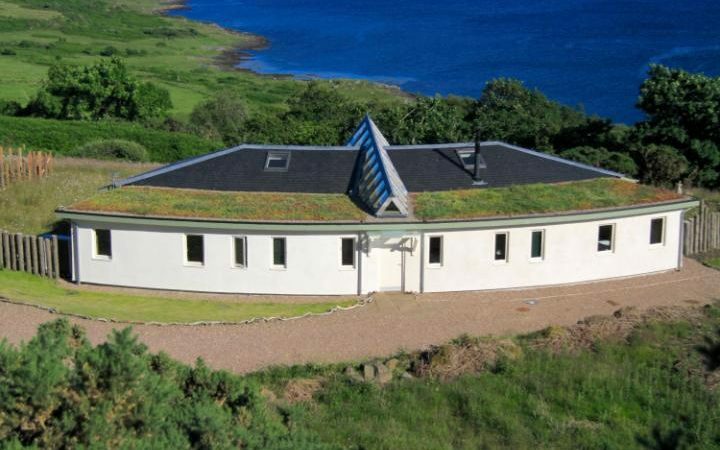 The brief called for a single-storey home – please don’t call it a bungalow – that would be suitable for semi-retirement and beyond; its curved footprint and large windows hug the view of the Sound of Mull. If it’s joie de vivre you’re after, there’s one house you should definitely be looking to for inspiration. The Quest, a recently completed Dorset home by Ström Architects, boasts a vintage Aston Martin in the driveway and an equally luxurious interior, with this same kind of open-plan, step-free, corridor-free layout. “Just three requirements in our brief to the architect took note of our age,” says Pennie Denton, who lives at The Quest with her husband Charles; both are in their late 70s. “First, we wanted a single-storey house; second, we wanted good access on foot or in a wheelchair; and third, we each wanted a separate study – when you’re retired and are together all day, you need your own space! These houses are pockets of extraordinary architecture, owned by forward-thinking people with the funds to future-proof their lives. But they are also part of a bigger debate about how design might make older people’s lives better. New Old, an exhibition at London’s Design Museum until February 19, explores the subject in depth, identifying the home as a key component in maintaining the independence of an older population. Its speculative ideas for the future include a remote monitoring system with multiple components such as sensors, bracelets and even a robot canine companion. Home technology already has a defining role to play, and companies more used to installing integrated AV and security systems for a younger generation are thinking about how they might realign their purpose to help older people stay in their homes. “Technology is absolutely the next frontier for older people to live longer and happier lives,” says Peter Aylett of specialist installers Archimedia. He points to enhancement such as power-assisted doors (inside and out), automated blinds and curtains, and relatives or carers having access to lighting, heating and security systems to keep an eye on things. As with other physical design features of a “lifetime home”, a bit of extra cabling doesn’t conflict in any way with the notion of a beautiful building. We often talk about finding our “forever home”, the place that’s so right in every way that we never want to move again. But most of us don’t really mean forever, and perhaps it’s time that we did.